Employee theft is the stealing of goods, money or time by the people who work for you, such as employees or contractors. To prevent employee theft, you need to identify how your business is vulnerable to it. You can then create policies, processes and monitoring systems to reduce or prevent employee theft. To help prevent the theft of inventory, or cash at the point of sale (POS), we recommend using a POS system like Lightspeed. Lightspeed allows you to manage and reconcile your inventory, sales, and any discrepancies so you can prevent employee theft. Your best bet to prevent theft is to hire employees who don’t steal. That means in addition to monitoring existing employees, which we’ll cover below, you’ve got to do background checks on your new hires and ensure they’re the type of people you can trust. Here are great reference questions to ask former employers before you hire someone new. United States businesses lose an average of 7 percent of their annual revenues to employee theft each year, according to statistics from Statistic Brain Research Institute. To prevent this at your business, you’ll want to start with a zero-tolerance policy. 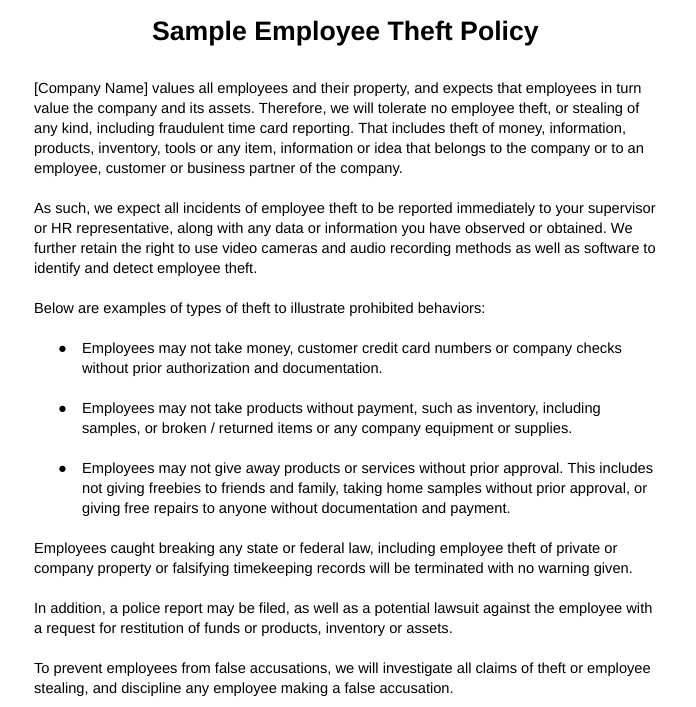 Here is a sample employee theft policy you can download and customize. A statement that employee theft is prohibited: This section should remind employees that theft is illegal and give examples of the kinds of employee theft that’s prohibited like stealing cash, merchandise or falsifying time cards. An expectation that employees will notify management if they see theft occurring: This topic should also cover how employees are to report employee theft to management. Examples of prohibited behaviors as an illustration: This section is unique to each business and would explain common types of theft in your industry, such as service workers taking company tools home or foodservice employees giving food and drinks away to friends. A statement about repercussions: This section should point to your discipline policy, state that termination is automatic and suggest that incidents may be reported to the police. Notice on your commitment to investigating theft: This section will explain that you will follow up on all reports of theft but will not tolerate false accusations. The best way to communicate any new policy is to include it in your employee handbook and review it annually, preferably in a meeting setting. That way, you can provide examples and employees can ask questions to be sure all are clear on what the theft policy is, and what the consequences of violating the policy are. When you communicate your policy, make sure you provide work-related examples that might occur in your industry. This is especially important if your workforce is new to the job market, such as summer high school students. Some employees may need examples to understand that it’s not acceptable to take food and drinks off the shelves to consume during or after work. Others may consider it no big deal to make a few photocopies or borrow a sticky note pad or tape dispenser from the supply room unless you tell them that’s prohibited. Once you’ve set up your policy and communicated it, the next best way to reduce employee theft is to make stealing difficult. Reduce temptation by installing video security cameras, for example, so that employees are aware they could be caught easily. Don’t leave cash on counters and desktops. Make sure that you have more than one person present at all times when money or valuables are at stake. Here are two other ideas to help reduce a worker’s temptation to steal. Assign two people together on tasks when cash or expensive goods are involved. For example, schedule two workers at night to restock your shelves. Knowing that someone else might catch them stealing can serve as a deterrent. The same is true for employees counting cash, processing customer returns or counting inventory in the back room. Divide job roles to prevent embezzlement. For example, in bookkeeping functions, make sure that any person handling money or checks has a receipt signed by a co-worker. Similarly, keys to the lockbox should be managed by someone responsible for money moving in and out of the petty cash fund. Similar controls can be put into place for equipment and supply room tools. Further, it’s a best practice to prevent any person who writes company checks to be allowed to manage business bank reconciliation. 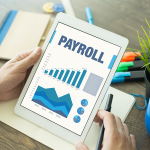 That’s true for payroll as well — the person who approves employee time cards shouldn’t be the same person running payroll. Each person serves as a check and balance to the other for financial transactions. Employee theft can occur at any time. For example, products can be stolen by employees before they make it to the shelves. Also, cash can be stolen later in the sales cycle — such as purchases not being rung up correctly or cash being pocketed. 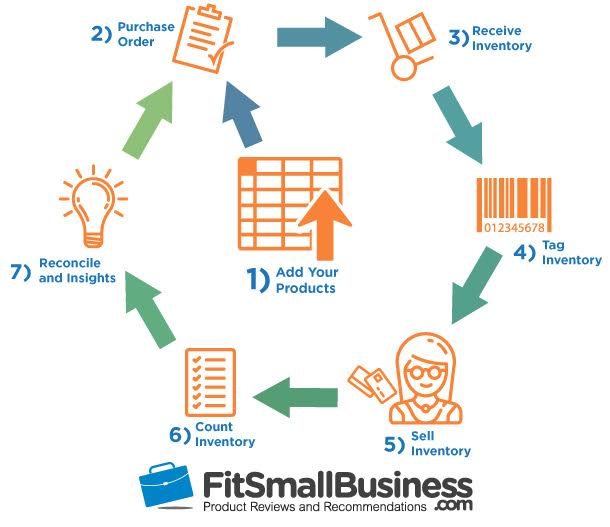 Your best option is to provide systems like Lightspeed POS that can monitor your workplace from inventory to customer receipts at each point in the product cycle shown below. A POS system like Lightspeed can prevent employee theft across the product life cycle. The specific type of monitoring to use should be based on the kind of employee theft you’re trying to prevent. For example, a camera at your back door may help ensure employees don’t steal items being delivered whereas using purchase orders can ensure that each purchase is “approved” in advance. Below are examples of other types of employee theft a business may encounter. Knowing all the ways employees can steal can help you plan prevention methods for each type of theft. Employee theft of products occurs when employees take items from your business that they don’t pay for or allow those items to be taken by others. For example, if you run a retail outlet or a distribution center and employees walk off with products they haven’t paid for, that’s employee theft. Theft of products isn’t always obvious. For example, let’s say you run a restaurant or bar, and the server “gives away” food or drinks to their friends who don’t pay for those freebies. That’s also employee theft. Consider installing a security camera or using a system like ADT to keep an eye on what happens in most areas of your business. Don’t forget to have cameras showing movement going into and out of the building. It’s been reported that new hires and part-time employees tend to steal more than five times what shoplifters take from retail stores. You should also be using an inventory system like Lightspeed so that you’re alerted right away if inventory is disappearing before it’s been sold. Theft of services is another type of employee theft, and it’s often done by employees for their friends or family or to obtain payment from an outsider while claiming to be doing work for the business. For example, if you run a service business, such as a car wash, and your employees allow their friends and family members to wash their cars for free, they’re stealing your services. 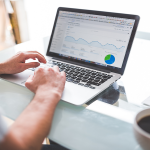 Stealing cash or money is what many employers think of when they imagine employee theft, and it’s certainly common, especially for businesses that don’t have strong POS systems like Lightspeed. For example, if a customer makes a cash payment to a receptionist, it’s easy for that cash to go missing if the payment isn’t documented. With many payments being made by credit card, it’s critical to keep customer credit card numbers safe. Unscrupulous employees could steal a customer’s credit card numbers and make purchases online. That kind of employee theft of customer payment information could damage your business’ reputation. In fact, embezzlement and check fraud are the most costly of all employee theft. Approximately 70 percent of check fraud occurs in businesses with fewer than 100 employees. Employees who don’t clock in or out correctly could be stealing bits of time, such as 15 minutes or more, each day. That adds up, especially if you end up paying hourly non-exempt employees overtime at time and a half. It’s not uncommon for otherwise honest employees to come in late, take long lunches, or leave work early — all while documenting their time (and resulting earnings) as if they worked their regular hours. Some estimate the average employee steals four hours a week. To prevent time theft, we recommend using an employee scheduling and timekeeping system like Homebase. Homebase offers a free plan that includes tracking complex tasks like shift work. Homebase can also export timekeeping data directly to your payroll system, reducing the chance of time card data being manipulated. Employee idea theft occurs when employees take proprietary information to use or sell. It could be a list of current business contacts, a hard drive full of new product ideas or copies of your business plan. Idea theft is most common in professional or high-tech environments and can be addressed by having employees and contractors sign a noncompete or nondisclosure agreement upon hire. You might also consider installing systems that allow you to monitor what’s happening on your business computers, network or website. There are 12 states that have laws on the books that prevent video or audio monitoring without prior approval. Therefore, if you’re using a video camera or plan to record employee phone conversations, make sure that information is stated up front in an employee handbook or included in the theft policy that’s signed by each employee. Train your supervisors on each type of theft, and help them understand how they can help monitor employee behavior in a non-accusatory way. You can print and provide them with a copy of this document as a handout. Encourage them to be your eyes and ears looking out for theft on the job. “It looks like you’re leaving. Have you clocked out yet?”: If the employee says no, this may give the manager time to follow up about why he or she is going outside with unpaid merchandise. “What’s that you’re carrying? I didn’t see you come in with it.”: This may feel direct but, as the employer, your managers have a right to inspect anything coming into and out of your store. “Has that been paid for? Can I see the receipt?”: If the employee shows you store merchandise, it’s OK to ask to see the receipt. If it’s been paid for, he or she won’t be offended. “Why are you using the back door?”: You’re not accusing them of stealing, but managers have a right to understand why someone is “sneaking out,” especially if that person is “on the clock. It could be that he or she is getting something from a vehicle. “What’s that I just saw you put in your backpack? Trunk?”: Say this only if you truly suspect someone has just stolen something. If the person has done nothing wrong, he or she will not get defensive. If employees know you don’t enforce your policy, they’ll be emboldened to steal or to keep stealing. Perhaps someone earns $12 an hour — if he or she steals $100 a day in terms of products to take and sell or money pocketed from cash sales, he or she may decide that it’s a better deal to steal, even at the risk losing the job. Therefore, if your policy states that you will prosecute employees for theft, do so. It only takes one or two examples of you enforcing a zero-tolerance policy before other employees realize you’re serious and are less likely to try it themselves. You may want to set up a system so that employees may report to their manager or human resources any time they observe theft occurring in the workplace. Then, follow up on their concerns by enforcing your policy. If you catch an employee stealing, be very careful about your next steps so that you don’t get sued for wrongful termination. Employees, like all US citizens, are presumed innocent until proven guilty. Use the three steps below to make sure you address the alleged “theft” in a professional way that doesn’t backfire and cost you money or legal headaches. If you must, have the person leave the premises immediately by saying that you’re investigating a potential company policy violation. If you have a progressive discipline policy, follow it. 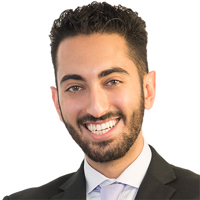 Meet with the employee and explain the data you’ve found, such as “the video shows a company policy violation of unpaid merchandise being taken outside the store.” If it’s substantial enough that you need to file an insurance claim, consider letting the employee know that you’re going to file a claim. If the employee resists being asked to leave, you might consider calling 911 and file a police report on the spot (threatening to call the police may encourage an employee to cooperate or at least leave the premises until you can get your termination documents and his or her final paycheck together). You can terminate the employee on the grounds of failing to adhere to company standards as outlined in the employee handbook. There’s no need to state that you’ve caught him or her stealing. If you’ve already sent the employee home, you can follow up with a termination letter or email. If you’re in a state that allows the at-will employment doctrine, you may not need to provide a reason for termination at all. You could simply say, “you’re being terminated per our at-will employment policy.” Read our guide on at-will employment for more insight. If the amount of goods or money taken is more than $50, for example, you may want to file a police report. You may need to file a report any time you’re planning to submit an insurance claim for missing goods as an insurance company needs the police report number to file a claim. Contact your local police, sheriff or law enforcement department to file a report. Many proponents believe that employee theft occurs because of a business’ bad culture, lack of supervision or angry employees. However, it’s possible a small percentage of people are prone to stealing and lack the moral self-discipline not to. CNN did a report showing that those who do steal don’t often do it for need, but instead do it for greed or vindictiveness. In fact, the CNN report showed up to 66 percent of employees will steal if they see others getting away with it. In addition, the CNN data showed that lack of consequences made people more likely to steal. Enforcing your policy, as mentioned above, is critical as is tightening up your hiring processes in the first place. Preventing employee theft takes many forms from hiring honest employees to reducing the temptation to steal on the job. 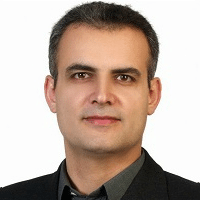 It also requires monitoring tools for the various types of employee theft, such as video surveillance and solid inventory and accounting practices. To ensure your theft policy works, you need to enforce it. We hope these steps help reduce the impact of employee theft on your business. We recommend Lightspeed as a great POS system that provides inventory management to help you prevent and or identify employee theft early so that you can stop it before it impacts your bottom line.